I’ve got a lot to thank Liz Earle for. After years of bad skin and equally bad skin care I found the brand to be an absolute revelation from the moment I tried their Hot Cloth Cleanser for the first time. 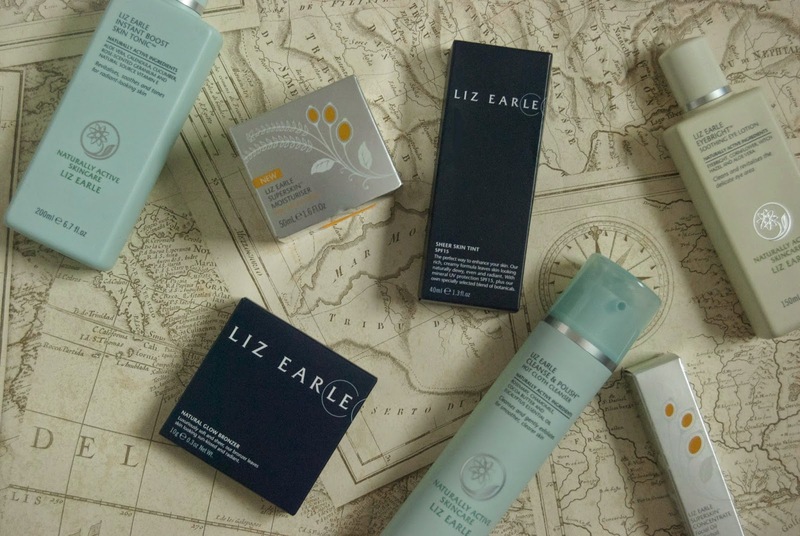 Over the years they’ve expanded into make-up and specialist skin care ranges which means that you can find something to suit every skin type at Liz Earle. I was lucky enough to be sent some of their new products to try along with some old favourites. First off we have the hot cloth cleanser, I can’t count the amount of times I’ve recommended this to someone. Mine came in a little bag complete with the muslin cloth. This is such a great everyday cleanser, the cocoa butter leaves your skin feeling silky smooth. I always loved the smell and thought it was a great pick me up day and night. After using the hot cloth cleanser I like to use the Instant Boost Skin Tonic. This leaves your skin feeling refreshed and in tip top condition. I must admit I bought a small travel version for my bag so I can give my skin a boost on the go. After using this my skin seems to radiate happy, can’t say fairer than that! Now I’m in my mid-twenties (shriek) my mind turns to ageing. Particularly the ageing of my skin. The Superskin Moisturiser is the perfect consistency for night-time use, it’s thicker than a normal moisturiser and feels like it is doing my skin the world of good. It’s scented with natural neroli too but it isn’t too overpowering. There is nothing worse then overpowering scents in your skincare. When my skin needs an extra boost I apply the Superskin concentrate rollerball. It promises to plump, smooth and rebalance the look and feel of your skin. It has aromatic properties too, meaning it’s perfect for bed time. Breathe in the aroma to send you off to the land of nod. Lastly I have two products from the Liz Earle make-up range. I’m sorry I don’t have swatches for you but I will be doing a make-up look with these in the near future. The Sheer Skin Tint has an SPF of 15, sun protection is something I look for in all of my foundations or bases. This skin tint can be as light as you want it to be, it’s really buildable without you looking a tad orange. I particularly like to use this in Summer when I want to let my skin breathe more. Apply with a beauty blender for a really even finish. The Natural Glow Bronzer is perfect for everyday. I hate when a bronzer has too much shimmer and lights you up like a christmas tree. This one doesn’t do that, it highlights your features perfectly. I apply this everyday to the hollows under my cheekbones and sweep it up towards the hairline to add definition. For an evening look I sweep a little at the sides of my nose and under my jawline for a more dramatic look.